I believe in my heart that Juban’s Restaurant is a special place. I should begin by conceding my bias. When it comes to Juban’s, I simply can’t be fair and impartial. Juban’s is the place where I had a party to do the gender reveal of my child, Fisher. Juban’s is the place where my wife went into labor after having a fantastic dinner and having just ordered dessert (don’t worry we got the dessert to go). Juban’s is my place to go when I win a trial. It’s my special occasion place. Of course, it’s my favorite brunch. I admit, and concede my bias. I just can’t be fair when it comes to Juban’s. If you would like more of an atrium or outdoor feel, I would suggest getting a table in the bar area. It feels like you are sitting outside. It’s beautiful, open, and very comfortable. 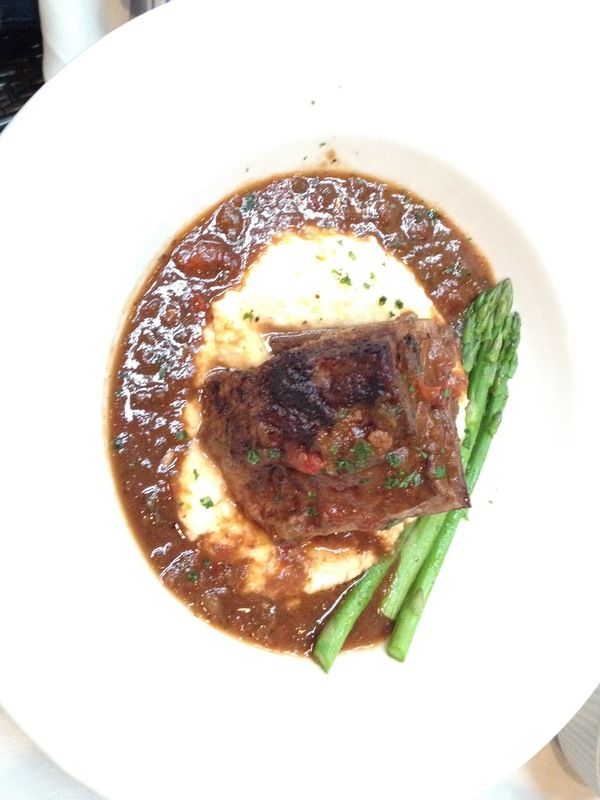 You can get reservations, and the service is extremely prompt, efficient, and attentive. Service is the most notable quality of Juban’s. 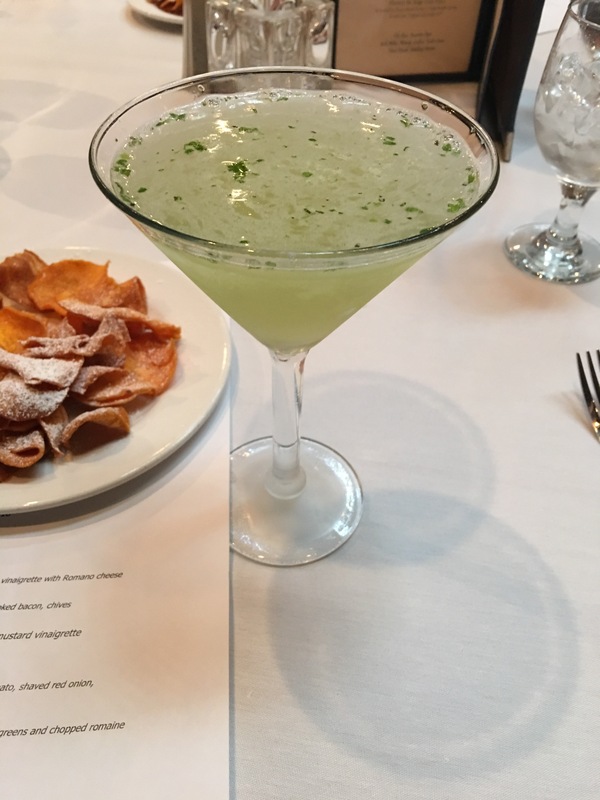 The wait staff is constantly ensuring that your glasses are filled, that you have what you need, and asking how they can make your meal better. They are thoughtful and will help with decision making on orders when asked. Let’s start with Juban’s brunch beverages. The French Press Coffee is a great start to the meal. The coffee is delicious, and pressed at your table. 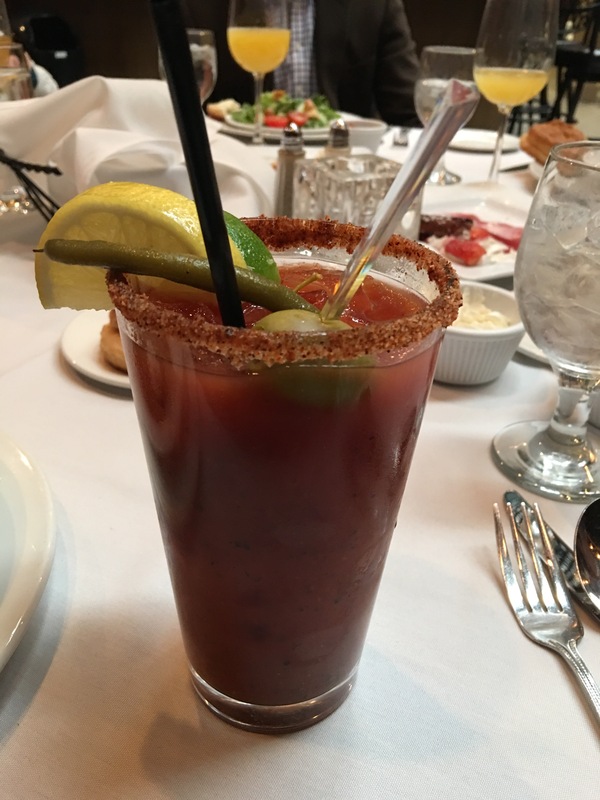 The Bloody Mary is delicious and well garnished, and the Bottomless Mimosas are always a good choice. 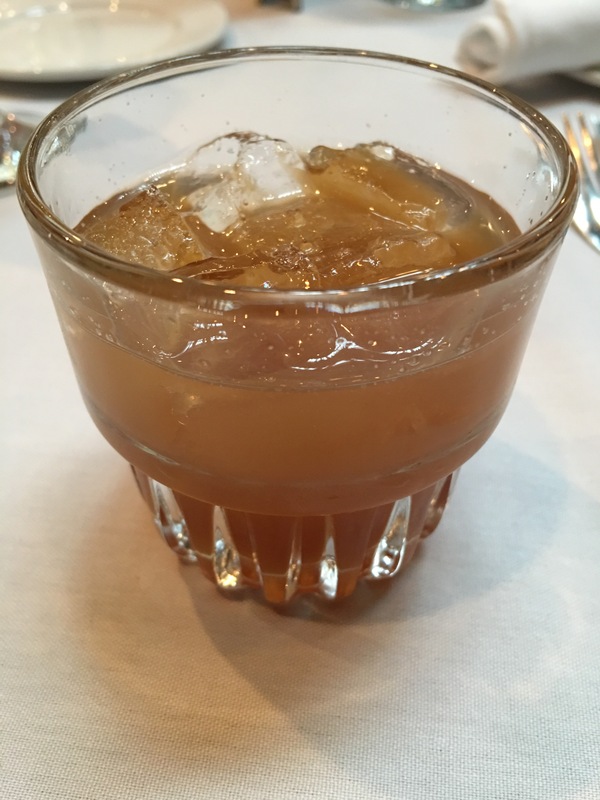 Juban’s has a great drink menu AND drinks are at “happy hour” cost during brunch. Biscuits. Juban’s serves biscuits to your table – delicious, fluffy, melt in your mouth biscuits. They are served with whipped butter and jelly. These are a great start to brunch. 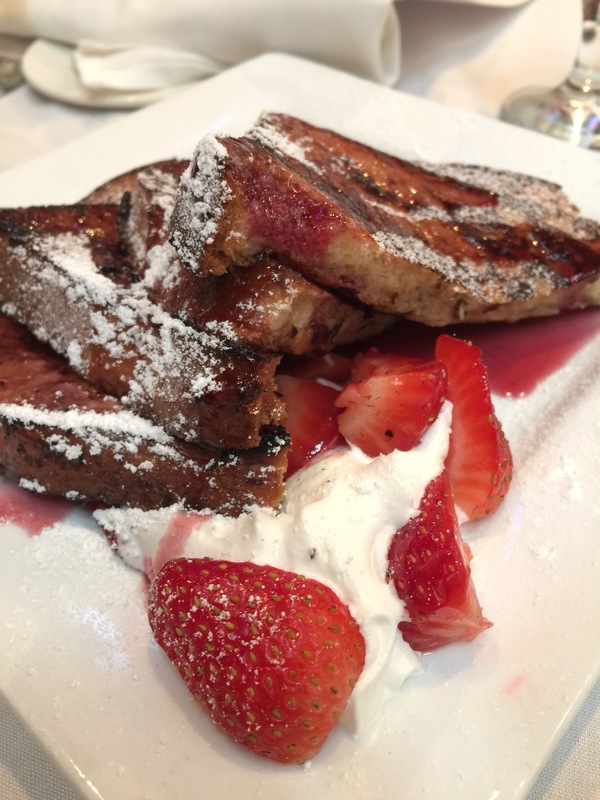 The Pain Perdu is crispy French toast with a homemade fruit syrup, cinnamon sugar, and Chantilly cream—appetizer that could be an entrée unto itself. This was the table favorite. 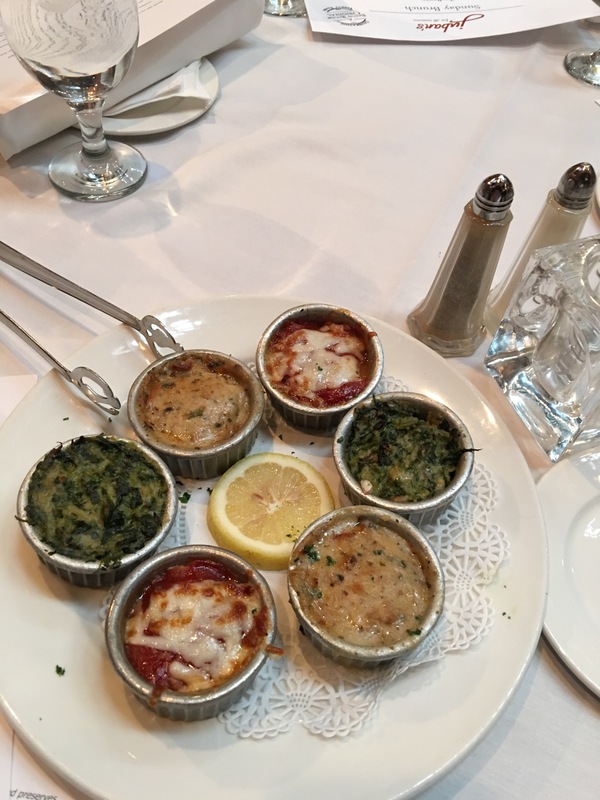 The Oyster Carousel is a sampling of baked oysters prepared three ways: Classic Rockefeller, Bienville, and Maxwell (a Juban’s creation with cocktail sauce, jalapeno, and mozzarella cheese). If you like oysters, this is for you. The Smoked Salmon is a plate of cold smoked salmon with croustades accompanied by chives, boiled eggs, capers, pickled shallot and cream cheese. This was a very solidly executed appetizer. Good portion size for sharing. While not an appetizer, I feel compelled to mention the Juban’s House Salad. 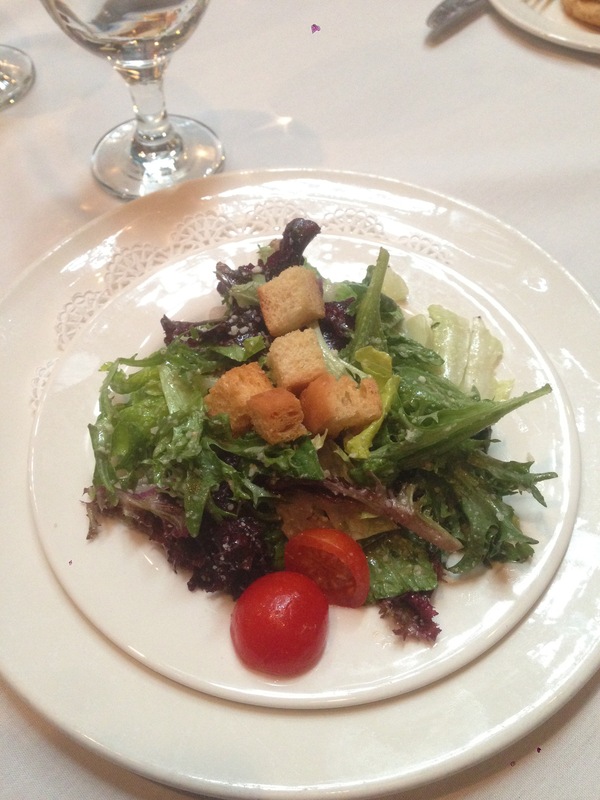 This a great starter salad with garlic vinaigrette and Romano cheese. The entrees on the brunch menu come with this salad. 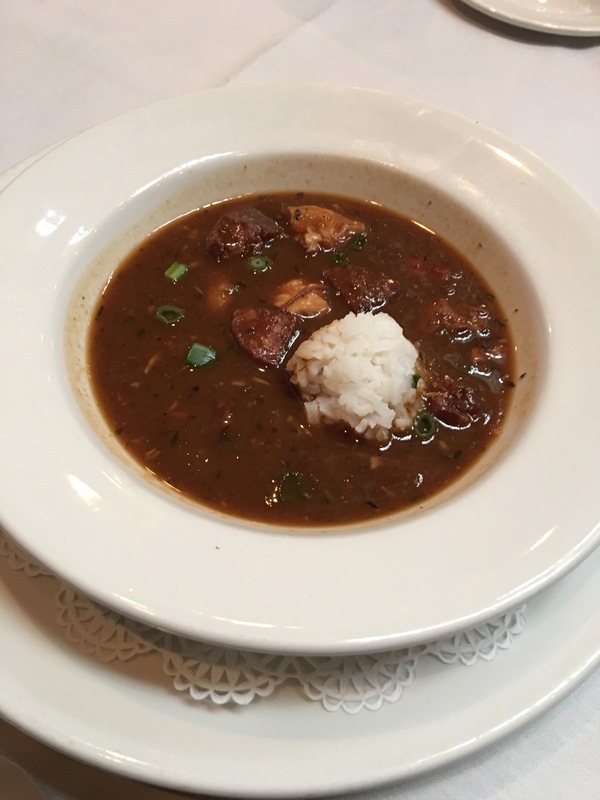 Soups: Our table got the traditional Juban’s Gumbo, which is a delicious blend of smoked chicken, roasted duck, andouille sausage— a delicious gumbo that reminds you of a gumbo more so out of your kitchen than a great restaurant. The soup of the day was a Fingerling Potato and Mushroom Stew. Rustic and delicious, this was a great soup. Baton Rouge Brunches ordered two entrees, and left the rest of the menu for WBRZ to divide and conquer. Our favorites were the Croque-Madame and the Eggs Louie. The Croque-Madame is a taste parade of warm shaved ham with Dijon and Gruyere between French brioche toast, topped with boursin mornay and a fried sunny side up egg. This was an excellent and affordable brunch sandwich. The sandwich is served with andouille potato hash or cut fries. It comes with a soup, gumbo, or small house salad for an extra charge. 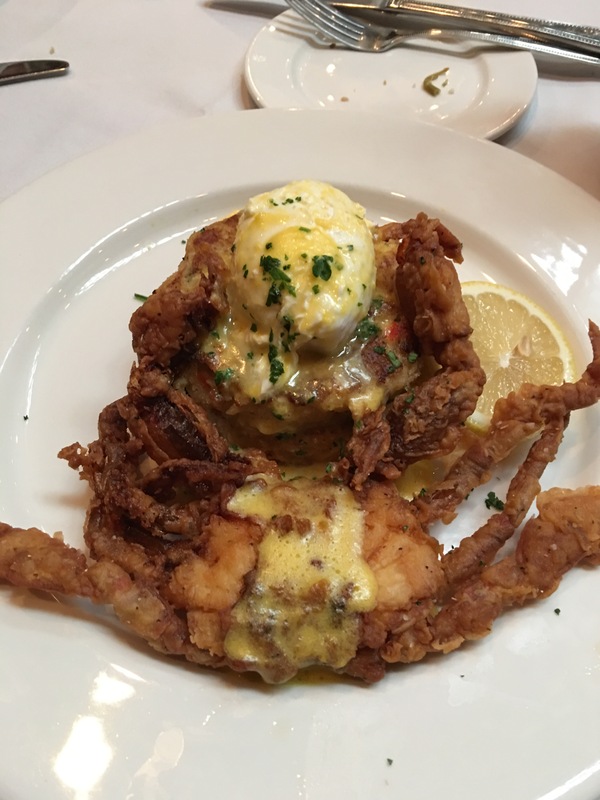 My favorite brunch entrée is the Eggs Louie: Jumbo lump crab cake, sautéed spinach, brioche toast with a poached egg, fried soft shell crab, and béarnaise. I have always thought of this dish as the “brunch cousin” of the Hallelujah Crab. This dish is the emblem of decadence and brunch comfort. Simply the best item on the menu. 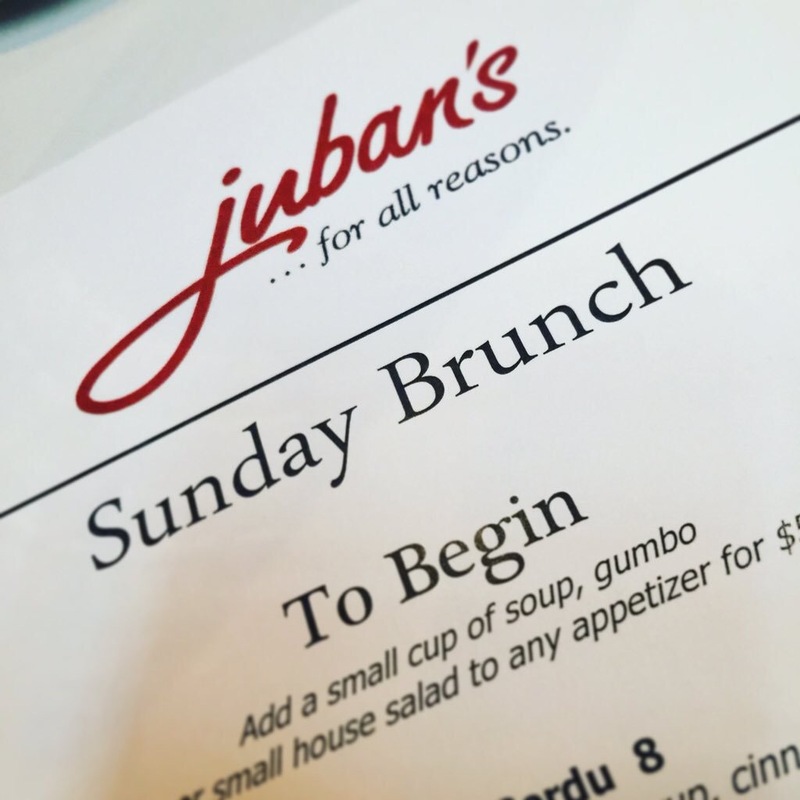 From the fantastic atmosphere to the phenomenal service, brunch at Juban’s was one of the best meals I’ve enjoyed in Baton Rouge. The food was perfect, and not at all over priced. I enjoyed a range of appetizers, but the oysters topped the list. For my entree, I had the alligator sausage. It was exceptional. The bottomless mimosas have to be the best I’ve had in the city. 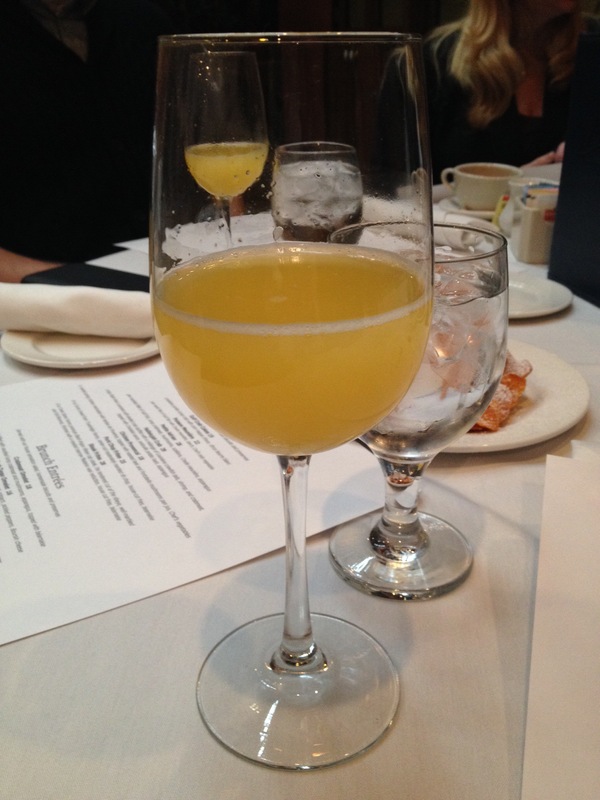 When my family and friends come to town, they won’t leave without going to brunch at Juban’s! This is the first time I have ever had a meal at Juban’s. I began with the peach bellini. By the end of the meal, two is plenty. The Pain Perdu is delicious. The mix of sweet syrup and cinnamon sugar completed the dish. For the oysters, I had a taste of the Maxwell with jalapeno sauce oyster but missed the bacon flavor the waitress told us about. I’m a sucker for lox. Anything smoked salmon is game on – smooth and salty. 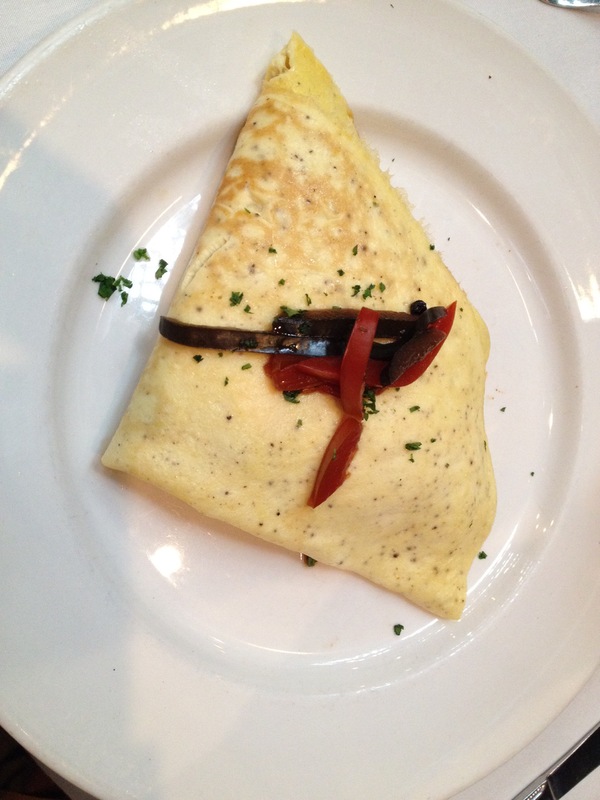 I ordered the crabmeat omelet but after consulting with our waitress, I switched to the Duck Tasso Omelet. The biscuit that came before the meal was melt-in-your-mouth good. Duck on the menu always stands out. I cooked duck for the first time last month, and it was perfection. This dish was salty, sweet, and perfectly topped with pickled peppers. I could only finish half as it was extremely filling. The dish was also rich to my taste. I’ll come back to Juban’s. There are still some things I need to try, including the Hallelujah crab. Pop down a twenty and have your fill of food at Juban’s, where the service smiles just like your gut will. 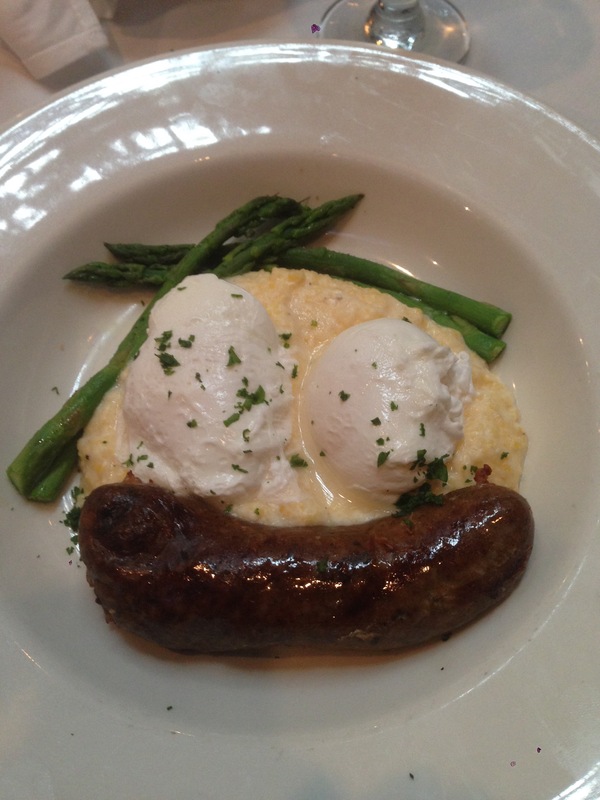 Ordering the Boudin and Grits just made a simple Sunday brunch an experience. My meal came with grits, asparagus, boudin, with two poached eggs. 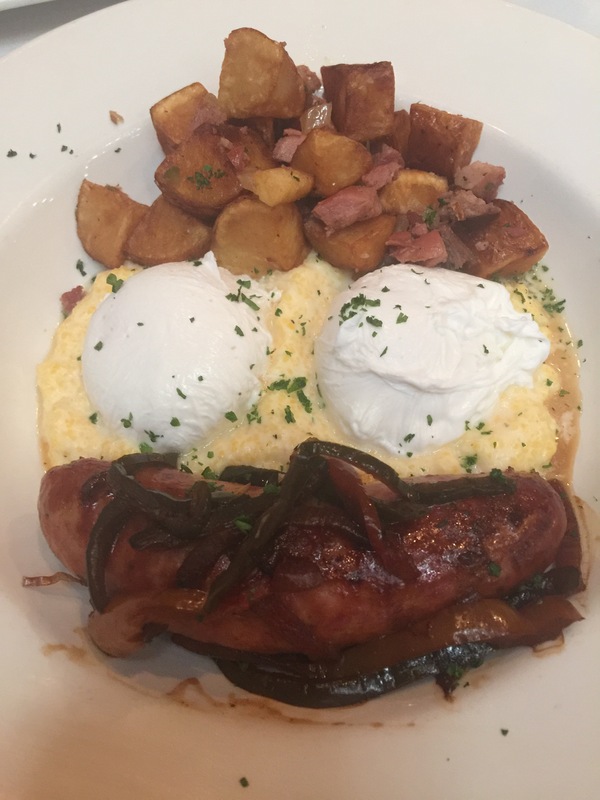 My food smiled at me and hugged my taste buds (The dish literally looks like a smiling face with the two eggs and sausage). The boudin link, made in house, satisfied just what I wanted and expected it to. But I had to spread the love of the boudin insides around the plate. The rest of the dish needed some extra pepper, for my taste level; however, I routinely torture my taste buds with an insane amount of spicy enhancements. This was a satisfying, affordable brunch option for someone looking to start their Sunday off with a smile. That was my first time dining at Juban’s. The Pain Perdu was amazing (I’m a sucker for French toast), and could eat as a meal. The raspberry sauce was excellent, and the “toast” had a nice charred flavor around the edges. Finished the plate after brunch (Baton Rouge Brunches notes that Michael stealthfully finished the dish as if no one noticed—we did!). The Pain Perdu was the best dish of the day. The smoked salmon was standard. It’s pretty hard to mess up smoked salmon. Let’s talk about the biscuits. If Frank’s biscuits are the litmus test for the best I’ve had, that was a close second. Brisket and Grillades were good, and no knife was needed. Out of 100, it’s in the high 80s. I’d say it’d be in the mid 90s if they find a way to incorporate a poached egg or sunny side up egg without making it messy. Asparagus didn’t scream “breakfast” to me. It was also standard, not extraordinary but not bad. I am new to the Baton Rouge brunch scene. Growing up, Frank’s was the “go to” brunch place for the Shingleton’s. With Frank’s ranking #1 in my unofficial official list of brunch spots, the Juban’s experience is a close second. 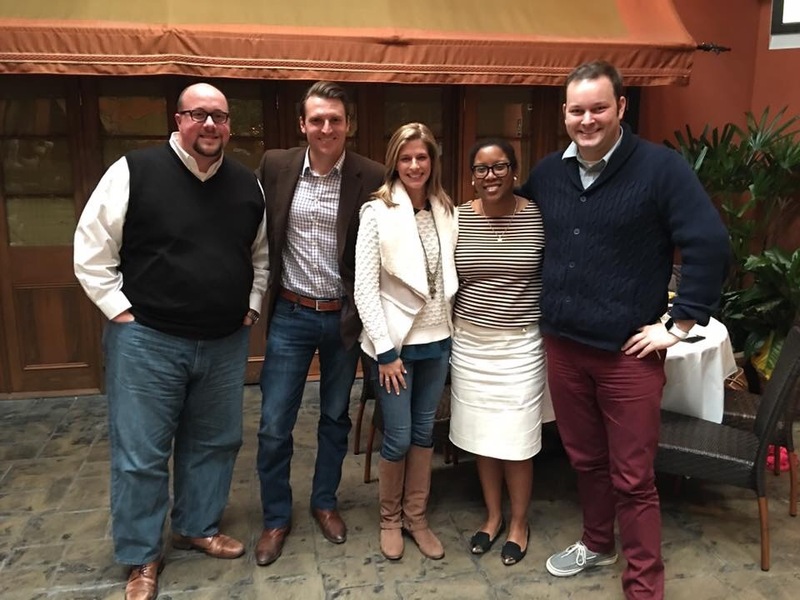 Baton Rouge Brunches and the WBRZ guests agree that Juban’s is a great place to eat Sunday Brunch in Baton Rouge. The food, drinks, and atmosphere all culminate in a place you want to bring your family and spend a couple hours enjoying your Sunday. The service at Juban’s should be the model standard for the rest of Baton Rouge restaurants. Another fabulous Juban’s experience with some great new friends.